Wyndham is the Kimberley's oldest town, Western Australia's northernmost town, and it's also Australia's hottest town. The small township sits on the Cambridge Gulf, about 100 km north of Kununurra. Such a short distance (by Kimberley measures it is), but what a difference. Kununurra is a booming agricultural and tourism centre, whereas Wyndham, home to only a few hundred people, has been shrinking and shrinking. Kununurra is surrounded by waterways and lush farmlands, Wyndham by tidal mudflats and nothingness. Kununurra is one of Australia's newest towns, and Wyndham is steeped in history. Kununurra is so alive, and Wyndham is so... different. I really like Wyndham. Desolate landscapes have always fascinated me, and there is something surreal about the town. It may sit on the edge of the gulf or the ocean, but it can feel like the edge of the world. The Duracks agreed with Forrest about the potential of the area, and in 1883 Patsy Durack left Queensland with 7250 head of cattle and 200 horses, a trek that lasted for two years and four months. 1885 saw the discovery of gold (which eventually led to the establishment of Halls Creek) and things happened fast from here. Wyndham was established as a port and trading point in 1885, and by 1886 the town was booming. There were six pubs in town already, and the town site was being surveyed and blocks of land sold, over 5000 miners landed in ships and there were times where up to 16 vessels were anchored in the gulf. To really appreciate what that means you need to take into account just how awfully isolated this area was back then. There was no connection at all to the rest of the continent, other than the ships. The mad boom didn't last long and the gold rush was already over in 1888, and until 1919 Wyndham was but a tiny township serving the pastoralists that had settled the area. In 1889 the Overland Telegraph arrived in Wyndham, much to the delight of the Aboriginals in the area. (The ceramic insulators on the poles made excellent spearheads). The town in that time was effectively controlled by the Duracks, who owned the nearby cattle station. The WA government began construction of the Wyndham meatworks in 1913. WWI interrupted the construction, but 1919 the meatworks finally opened, and they were the mainstay of Wyndham's economy until 1985. Well, and since 1985 Wyndham has been shrinking... There have been a few newer ventures, like the crocodile farm that breeds saltwater crocodiles for their meat and skins. 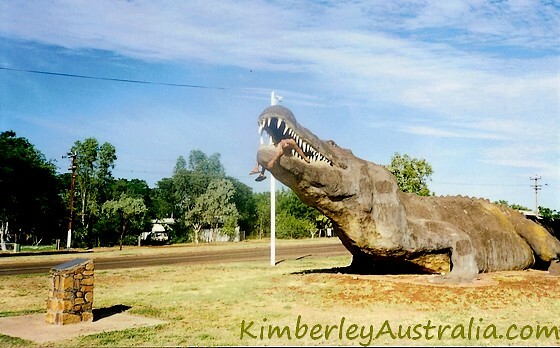 It also houses many big crocs, trouble makers that have been captured and now are a tourist attraction. (Update: the crocodile farm has since closed down.) 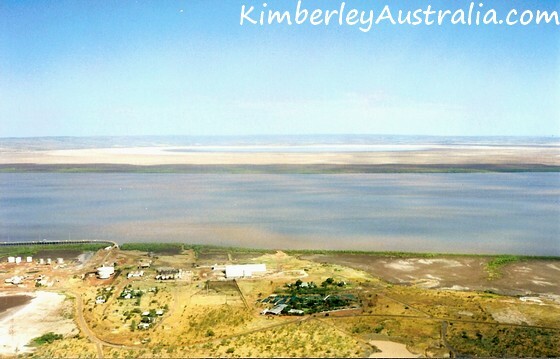 The Wyndham port is still active and ships cattle from across the Kimberley to Asia and zinc from the mines to Korea. Wyndham's historic and natural attractions also provide a trickle of tourist money into the town. But as it gets harder and harder, and therefore more expensive to live in Kununurra, more people are turning to Wyndham again. The Argyle Diamond Mine has been shifting its focus towards local and Aboriginal employment, and the number of Argyle employees in Wyndham is steadily increasing. Mining across the Kimberley is still booming. Agricultural produce from Kununurra is increasingly being exported and there are many other things happening right now in the Kimberley that all indicate that Wyndham and its port may become busy again. Wyndham consists of two parts: Wyndham Port is the original town site and is where most of the historical attractions are located. Wyndham Town, also known as Wyndham Three Mile, is the residential and shopping district. I already mentioned the Big Croc. You can't miss him. He's sitting right at the entrance of Wyndham Town. Another interesting group of large sculptures is just one road over to the east, in Warriu "Dreamtime" Park. They depict an Aboriginal family complete with a dingo and a kangaroo. You will find the Wyndham Gardens Outdoor Cinema in the same road. Also close to the town entrance is the Afghan Cemetery, with its tombstones facing Mecca. If you wonder what Afghans were doing in Wyndham, those are the graves of the camel drivers who provided the first freight service in the Kimberley. Signposted all the way from the town entrance is Five Rivers Lookout on top of the Erskine Range, or the Bastion as it's called. 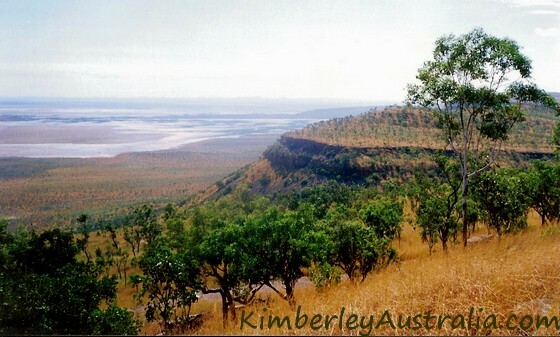 From here you can see all of Wyndham and some of the highway, the whole gulf and the five rivers flowing into it: the King, Forrest, Durack, Pentecost and the Ord. There is a plaque with a map at the top that shows the area and identifies the rivers. There are also some barbecues and lots of space. Great spot for a sunset and really, really spectacular views. A little bit further is another historic cemetery, the Bend Cemetery. (There's a bend in the highway there...) This cemetery contains the graves of the men who died during the meatworks construction. Soon after you'll get to Wyndham Port and you will find the Old Post Office on your right hand side. It's now the Tourist Information Centre and Post Office Museum. The Wyndham Port Heritage Trail starts there and is the best way to explore all the historical sites. You can get information and notes at the tourist information. Not on the heritage trail is the Gully Cemetery, the last resting place for members of the earliest pastoralist families from the 1880s. North of the wharf (which is a popular fishing spot) is the Crocodile Lookout. This is the place where the blood from the meatworks used to drain into the gulf, and naturally there were always lots of salties hanging around on the mudflats hoping for scraps. Obviously they disappeared after the meatworks closed, but now they are fed again for the benefit of the tourists. If you are hungry try the Wyndham Town Hotel (near the Tourist Information) or the Tin Shed across the road from it. Both should have some really fresh Barra. 23 km along the King River Road (a rough dirt road starting 6 km out of Wyndham) you can visit the Boab Prison Tree. The tree has a circumference of 14.7 metres and is estimated to be between 2000 and 4000 years old. Pretty amazing! As the name indicates it used to serve as an overnight lock up for patrols taking prisoners to Wyndham. 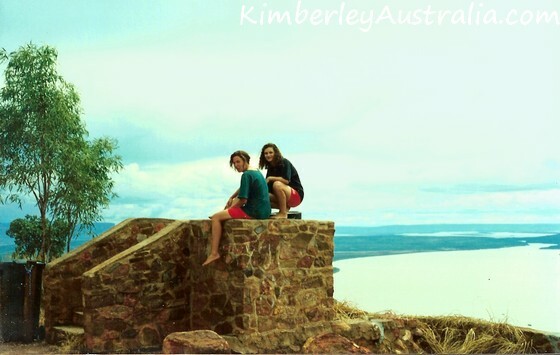 The Moochalabra Dam, also along the King River Road, makes for a nice picnic spot. It's Wyndham's water supply, so swimming, fishing etc. are obviously out of the question. 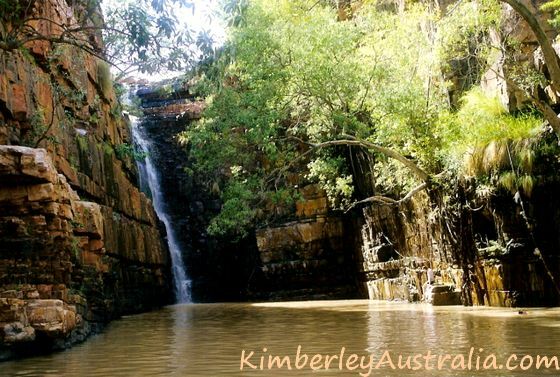 30 km out of Wyndham, on the highway back to Kununurra, you can find the Grotto, a popular waterfall and plunge pool. Instead of driving the highway back you could use Parry Creek Road. This unsealed road used to be the main road between Kununurra and Wyndham before the new highway was built. 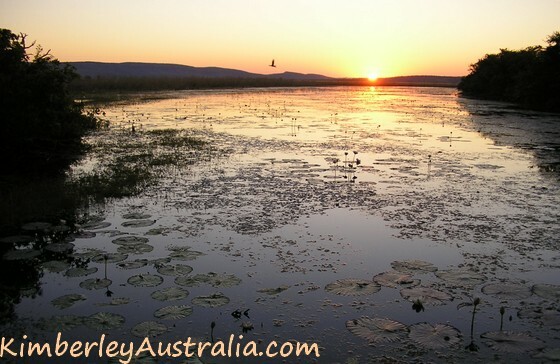 Along the road you find Parry Creek Farm and Marglu Billabong, a small tourist venture on the Ramsar protected Parry Lagoon Nature Reserve. Marlgu Billabong has a shaded observation platform, with displays helping you to identify the many birds you can spot here. Parry Creek Farm offers accommodation and has a small cafe and restaurant.